Jed Steele started in 1970 in the Lake County AVA (just northeast of Napa). 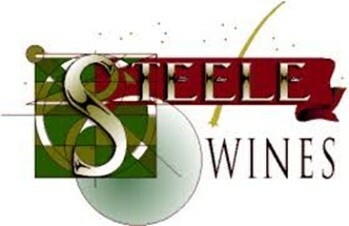 Steele focuses on vineyard-specific wines from his own estate and other vineyards he has worked with since the 1970s. Jed believes that the Steele wines exemplify varietal correctness and characteristics of the vineyards they come from. Today Jed continues his vision by crushing 22 different varietals and producing 40 different wines from both California and Washington State. Stop by on Saturday when we’ll try five of them. Aligote is the second white grape of Burgundy but now grown in Washington. The wine is crisp and clean, a wine with a nice balance of fruit and acidity. Flinty, mineral elements mix with a light floral hint on the nose, followed with the suggestion of tart/sweet apple on the palette. Blau Frankisch is literally “blue grape from France” is better known around here as Lemberger. This Washington grown version is full of berry fruit flavors and great color but with little tannin or harshness. Cabernet Franc excels in specific vineyards of Lake County, and Steele has worked with it from Shannon Ridge Vineyards in the High Valley area for almost a decade now. This Franc has aromas of red cherry, raspberry, plum, and licorice. Flavors are of red fruit, raspberry, and plum with smooth acidity, followed by soft tannins. The wine is aged for 15 months in mainly hybrid barrels. The Red Hills AVA is a new appellation in Lake County. The iron-rich, red soil of Red Hills is laden with obsidian, a glassy black volcanic rock that glistens in the afternoon sun. Well known Napa Valley grape grower Andy Beckstoffer bought up a piece of the Red Hills AVA, planting it in Cabernet Sauvignon and other Bordeaux varietals with which he is very familiar. Steele has been using the fruit since 2002. This wine has a rich, fruit-forward elegance. A spicy fruit and berry core backed up by soft tannins makes it a nice glass of wine for casual sipping among friends. Catfish Vineyard, located on the Bell Hill Bench of Lake County, was planted in 1901. Steele purchased the vineyard in 2000 and is working to rehabilitate the old head pruned vines. Catfish Vineyard Zinfandel, is actually a field blend of a number of varieties, including small amounts of Carignan, Alicante Bouschet, Cabernet Sauvignon, Petite Sirah, and Cinsault. Having more than one variety assured the old-time vintners that they would have some grapes to harvest regardless of the spring frosts or autumn storms. This Saturday we are getting back to basics with organic wines from the diverse regions of France. We’ll taste wines of the Lore, the Rhone, Provence, and Bordeaux. We won’t taste any pesticides or chemical fertilizers, just good clean wine. Coteaux du Giennois is a small and recent appellation, even if one can find archeological evidences of winegrowing in this region since the 2nd century. Coteaux du Giennois white is a fresh and fruity wine with floral aromas, and notes of white fruits such as quince and pear. It is a very crisp and minerally Sauvignon Blanc lovely, very clean citric aromas and flavors including grapefruit notes. While not certified organic the vineyard is sustainably farmed with little use of chemical additive. The Trois Soeurs is from estate grown fruit from 30- to 60-year-old vines in the Rhone Valley, and is named for the winemakers three daughters. It is “a delicious mouthful of wine for a song.” The wine has notes of dark chocolate, crushed berry fruit, earth, licorice and dry tannins. Organically grown grapes from estate vineyards just outside of St. Emillion make up this unoaked Bordeaux. Deep purple color with clean, fruit forward nose, smooth in the mouth with red berry candied fruit with hints of smoke and good acidity, nice and balanced on the finish. This Loire red comes from organically farmed 30-year-old vines in Chinon. It has attractive aromas of fresh fruit and spices, plenty of fruit and freshness, and a nice minerality. This Provence big bold red comes for organically farmed 30-year-old vines. The wine has intense black-fruit aromas and a rich, spicy, herby flavors along with deep earthy notes. We are tasting our way through a large swath of central and southern Italy this weekend here at Madrona Wine. Come brighten the January gloom with some of these great wines from uncommon varietals. Sunday we have two wines from Cincinnato, a winery in Lazio. From Lazio the Castore is 100% Bellone. The nose is full of lemon, lemon drop, fennel and a little hint of camp fire. It is mid-weight with lots of lemony acidity and a little peachy note in the finish. Touch of spice; fleshy, bright and with a rather stubborn finish. No Baloney. A unique grape that grows in Volcanic soils in Lazio. The aromas have that tinge of sottobosco–the woody, underbrush scent. There are fresh, lively raspberry and strawberry flavors that emit a hint of soy sauce. The weekend forecast is sunny outside here in Madrona. Here at the wine shop we’ll be tasting a few things to make you sunny inside. Bundle up, stretch the legs and come see what we have open. Saturday we tasting some great deals to start they year off right. Sunday, we’ll have a pair of French wines open to try. From vines on the slopes above the Garonne river, this herbal, fruity wine is dominated by Sauvignon Blanc. Its acidity is balanced by the yellow fruits as well as citrus. Sunday is also the Artist Reception for our new show of drawings by Julian Birchman. 3 to 5 pm Stop by and meet the artist. We’re still cleaning out a few things we found at the end of last year. Swing on by this Saturday and sweep up a few bargains. Whenever I sit down to doodle, I always draw a man. I draw a variation of several different dudes that I have in my visual library. I don’t do this consciously, it’s just what comes out. As a result whenever I need to draw a female character or a non-masculine appearing person, I feel stumped. 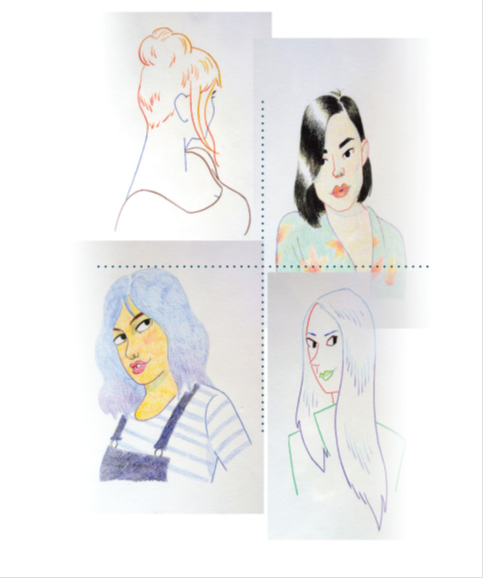 So I took this opportunity to draw 20 women as an exercise to break up a bad habit. Faithful to its roots, Monte Velho is the Alentejo in a glass. The wine has aromas of spicy red and dark berry fruits, earthy notes. The palate is fresh and elegant with good fruit depth, nicely structured.